I feel like an absentee sketcher. The fall was busier than usual because I taught during the Fall Quarter so it didn't give me much time to take off to sketch. However, I did get some sketches in. Here's to a great 2015 and I hope to join the group again this winter. Sketch of our house all decked out for Christmas. 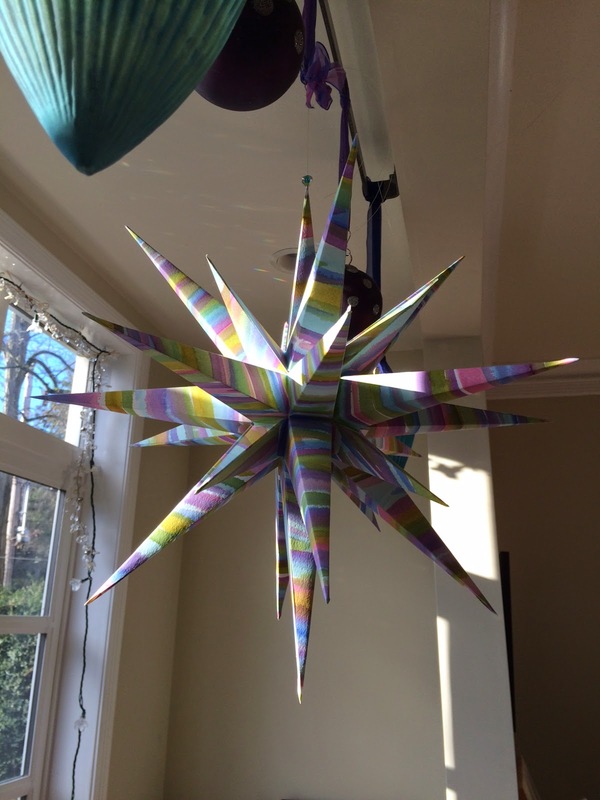 Made this Moravian Star between Christmas and New Years with the help of my son. It used 8 sheets of 11x14 watercolor paper! About 20 hours in total to make it, but I have the system down and think I can do it in faster time. I was given complimentary tickets to the Northwest Boychoir. Beautiful voices filling St. Marks. A must if you haven't ever been to this concert. The 9th Annual Soulumination Artist Holiday Sale was quite successful. I was able to sell a lot of cards and calendars. Our traditional Thanksgiving Pies, this time we had 11 pies on the table with a couple more in the wings. Pretty decadent for only having 17 people at the table. A wonderful set of sketches. Your are always unmistakably rich in line and tone. It was nice finally putting it all together. It has been a while since I posted.